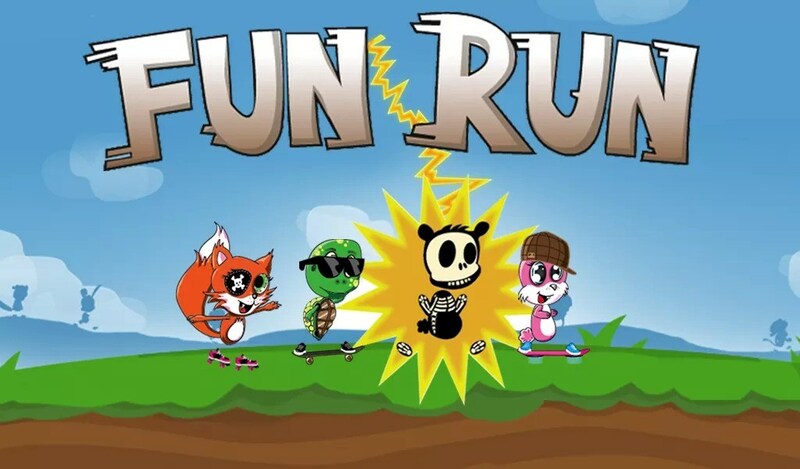 Fun Run – Games for Android 2018 – Free download. 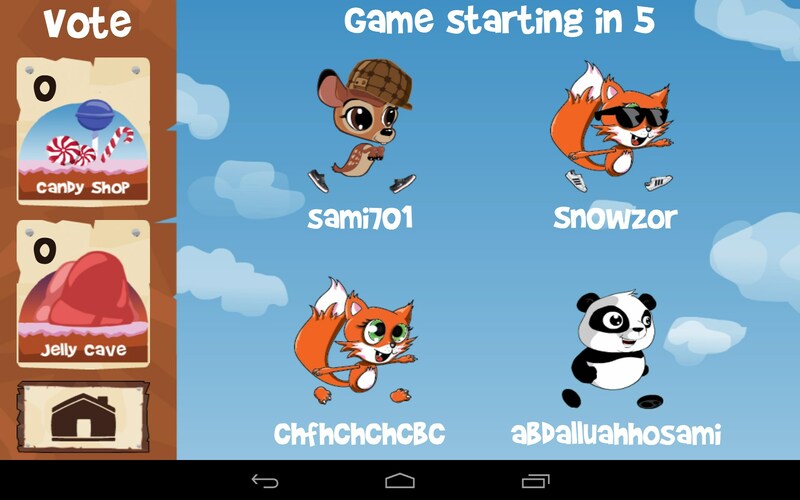 Fun Run – Online real-time runner game. 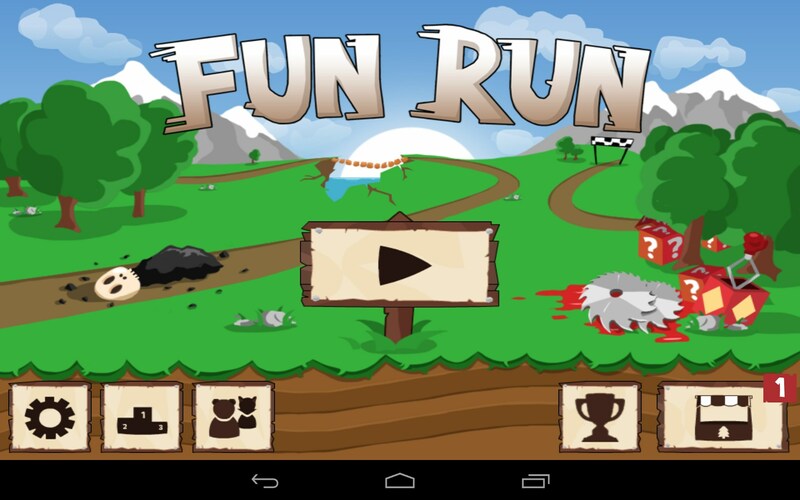 Fun Run is a fancy, highly dynamic, and bloody runner game for Android devices that brings something really new in the genre. 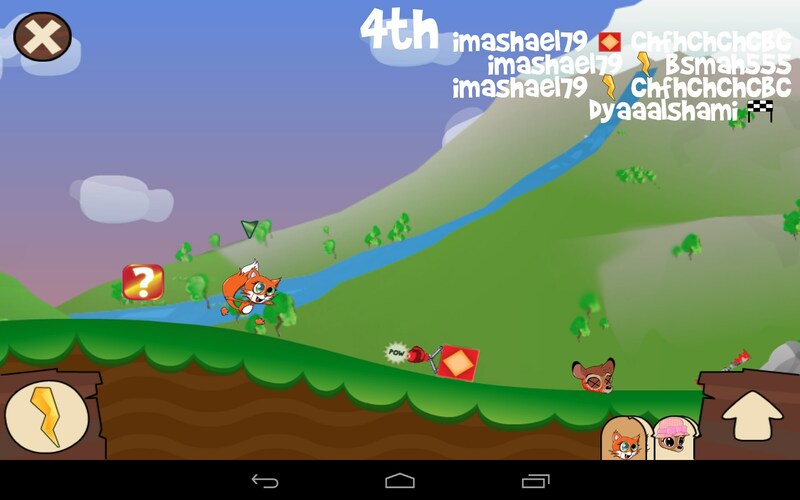 In this game you will need to play online with people from all around the world and race each other in a violent chase. 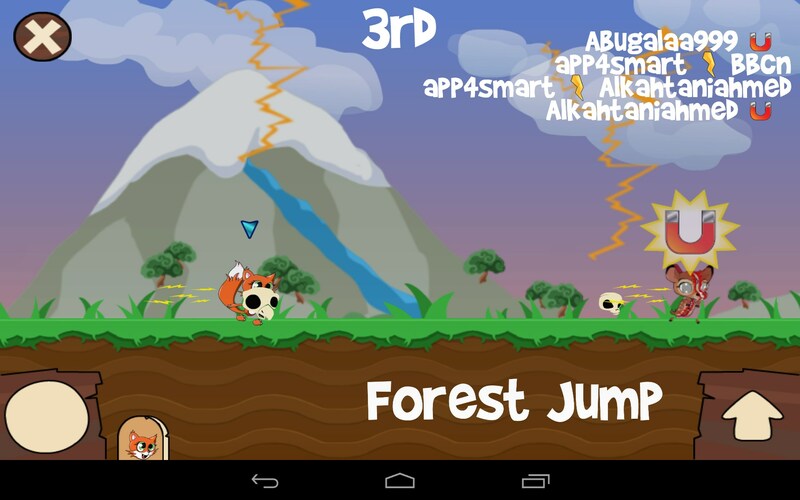 The game was developed by dirtyBit studio. 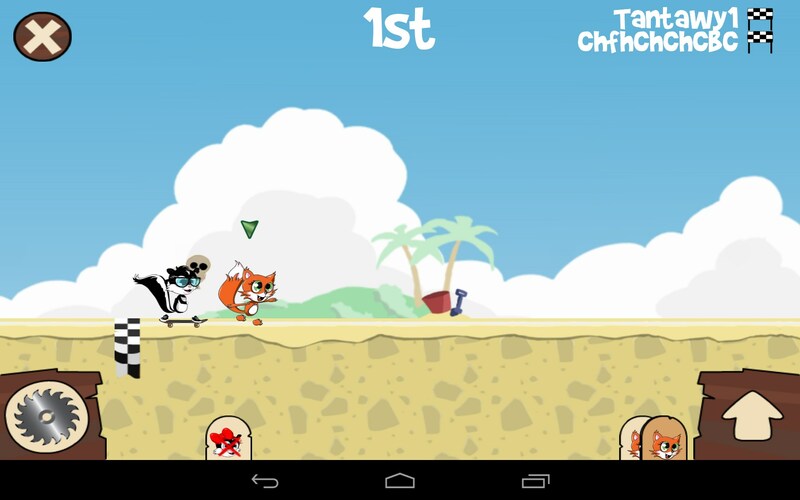 It features funny and quality 2D graphics, lots of action, and dozens of dirty tricks that you will need to inflict upon your rivals, played by real people, to become the first to come to the finish line. There are three game modes: practice when you play against the PC, quick play that lets you play with random people, and friends mode that makes it possible to create a game and invite friends. 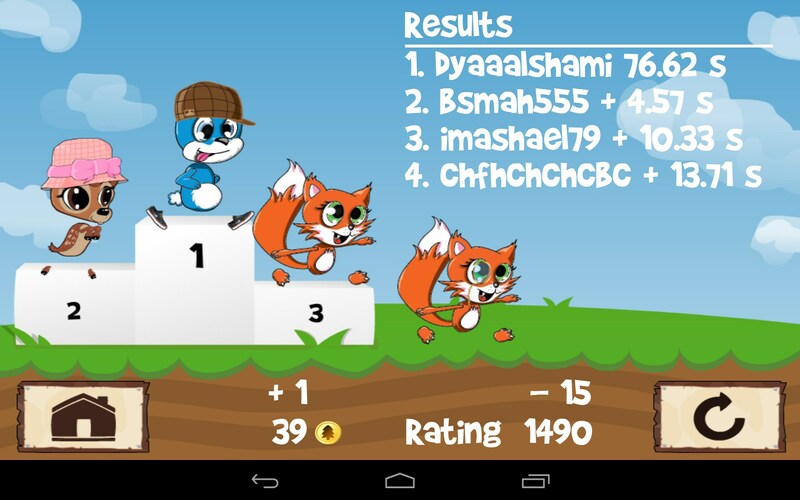 The game play in Fun Run is not endless and therefore you will need to play a lot of quick runs and fight for the first place. There are just two buttons you will need to use to control your character: jumping (on the right) and using boosts (on the left). There will be many boxes thrown about the map that will have random boosts like shield, saw, magnet, katana, and so on. 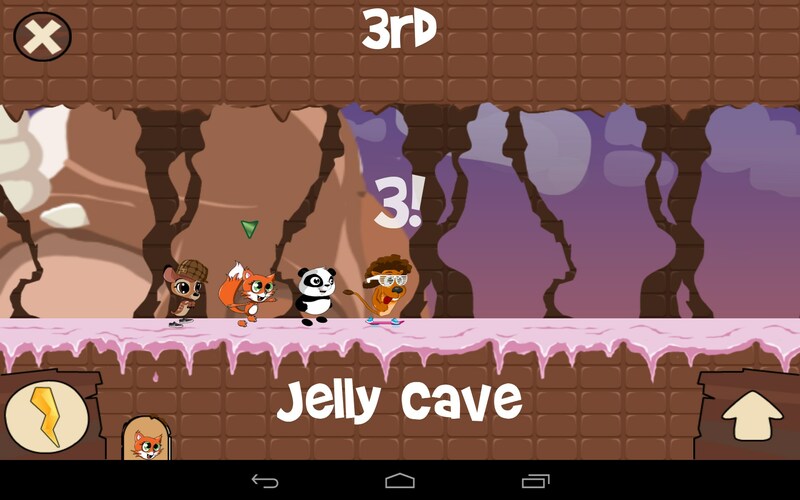 You will need to collect these boosts one by one and use them against your rivals to stop them and win time. However, you should be prepared to be hit by weapons, too. And that will happen very often as it’s the main catch of this game. Finding a game room in less than 5 seconds. Sometimes the game can be a bit laggy and characters of your rivals may be jerking. Also, we think that jumping could have been realized in a better way. 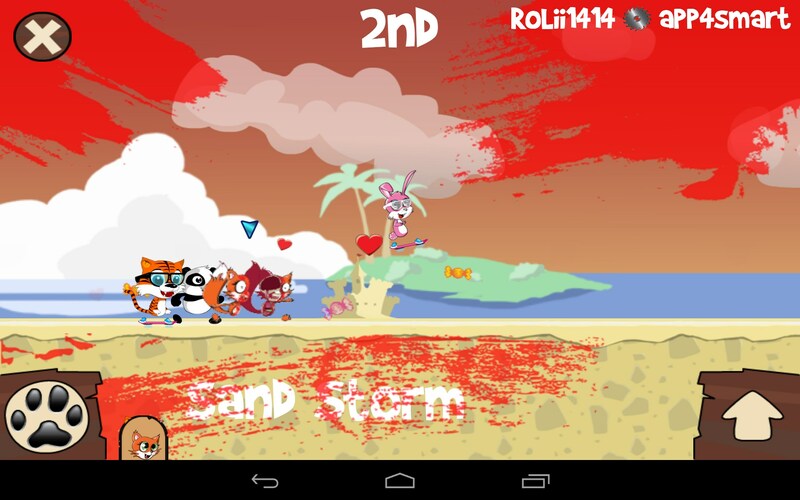 Fun Run is simple, addictive, and bloody runner game that lets you look at the genre from a different angle. 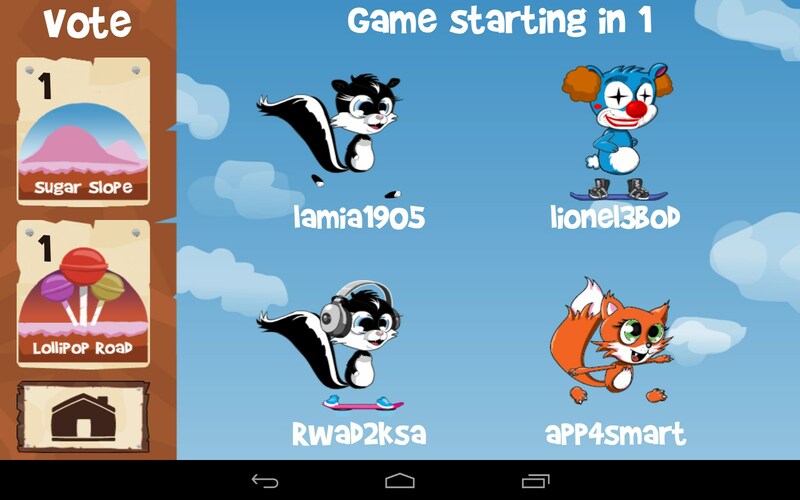 Play with random people or your friends online in real time completely for free! An unusual puzzle on "three in a row"